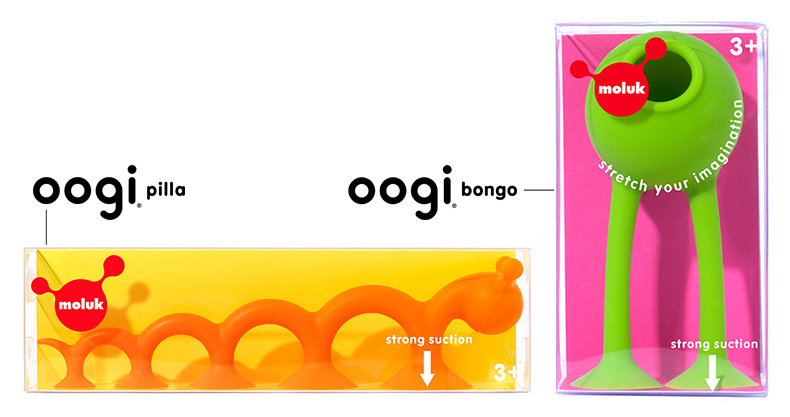 Oogi is an irresistibly tactile and wonderfully expressive new figure toy. 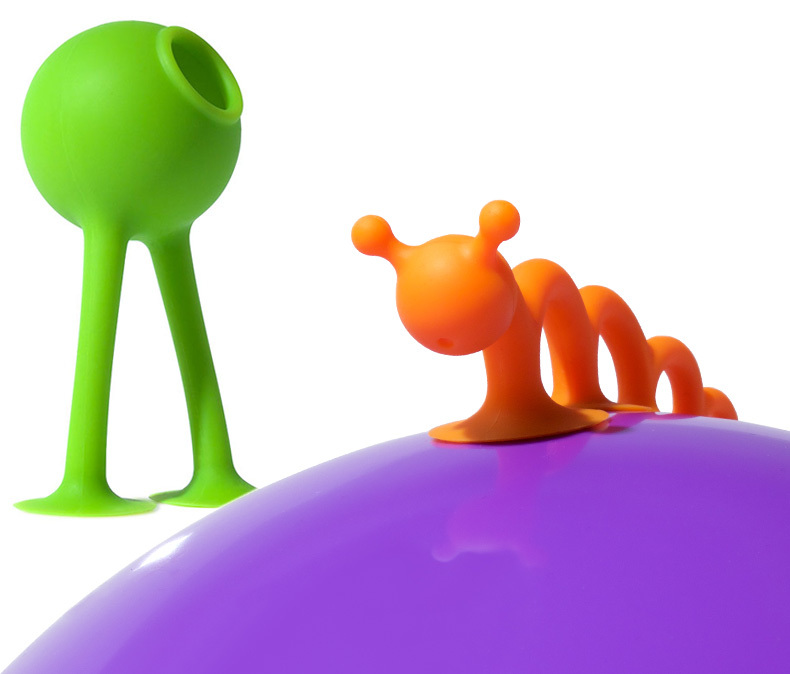 With suction cup head, hands and feet, and long stretchy arms, it connects to any smooth surface. Oogis happily live on a Bilibo but they have also been spotted playing in the bathtub, on fridges or mirrors. Oogis are very social beings: They love to touch, embrace, form chains and do crazy acrobatic tricks. Their favorite hobbies are Oogi Yoga, extreme climbing or darting onto windows and other targets. Oogis are at home in any genre from cliffhanger to slapstick comedy and suitable for all ages. Pat. US D737383 S, mod. int. dép. 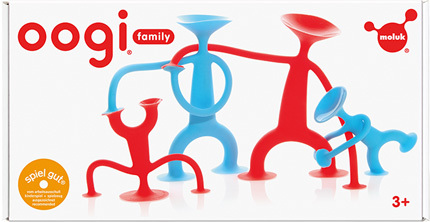 The Oogi Family Set contains two large and two small Oogis. 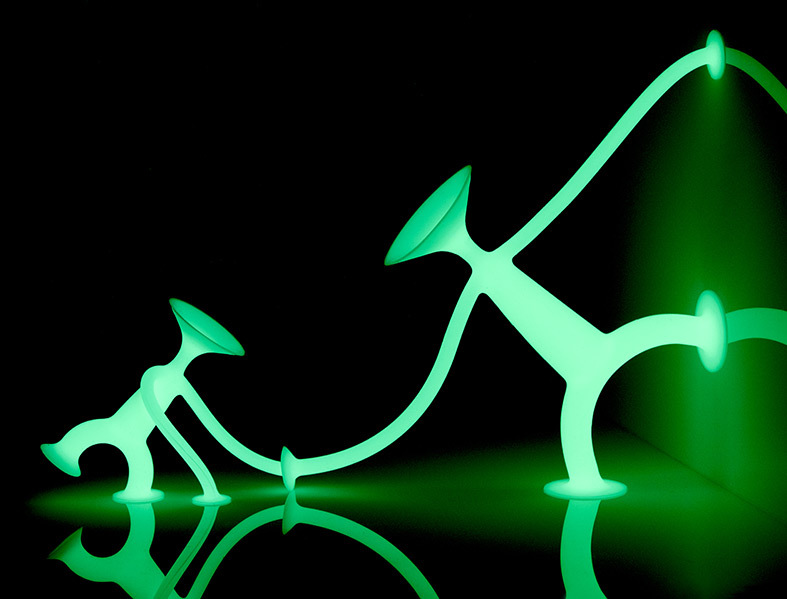 A cool glow-in-the-dark version brings out Oogi's show talent and highlights the iconic design of the figure. Hold Oogi GLOW near a bright light to charge - then let the party begin! pat. US D792528S, mod. int. dép. Oogi Bongo and Oogi Pilla are two unique new characters in the Oogi universe. 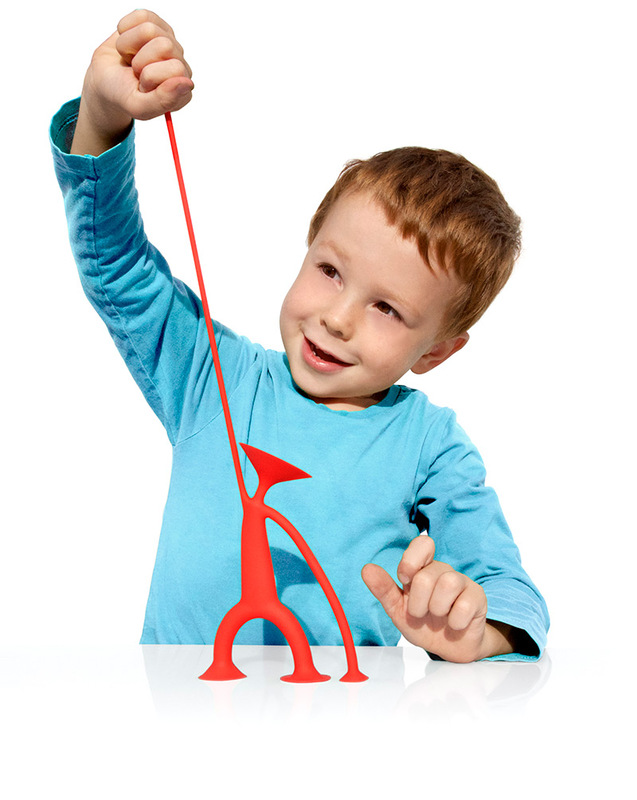 They are designed to inspire fantastic stories and come alive in the hands of children. The tactile, elastic material and different suction cup sizes invite kids to experiment and play using their imagination and all their senses. The bathtub is one of the places where both Oogi Bongo and Oogi Pilla feel right at home, but they have also been spotted playing on Bilibos, car windows, fridges or on dad’s desk. Oogifant is all you need to turn everyday objects into elephants. The tactile and highly elastic silicone trunk has suction cups on both ends that attach to any smooth surface. Hilarious moments and shared laughter are guaranteed. 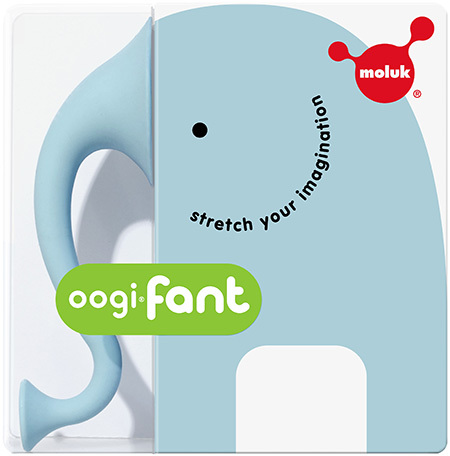 Oogifant is compatible with all other MOLUK toys.